There is a broad body of research that links student engagement to learning outcomes. Often, though, studies fail to provide usable frameworks that assist with the creation and maintenance of engagement in a learning setting. 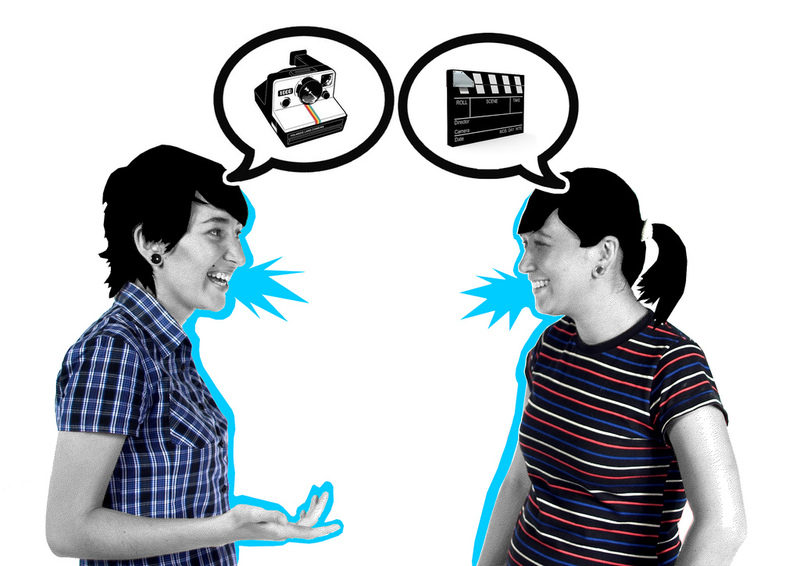 Recent research in marketing, such as work on service dominant logic (Vargo and Lusch, 2004), has suggested that truly engaged participants come about by being involved in production. In a learning environment, this means that education consumers (the students) should be included in the knowledge production process. Based on this, we looked to extend this concept so that students could involve themselves in the creation of knowledge through both synchronous and asynchronous channels. We also wanted to test whether the use of extrinsic, in-class rewards could be used to motivate participation in out-of-class activities. To some extent, the findings appear to be reasonably intuitive, in that students who participate in topic-related discussions both in class and outside of class achieve higher academic outcomes than students who only participate in-class. An interesting finding within the data was that the actual level of activity in the out-of-class asynchronous network was not the main driver of improvement in academic outcomes. Rather, membership of the out-of-class group was critical. It would appear that a substantial number of students would login to the out-of-class, online discussions and use the time to observe and reflect. While this wasn’t hypothesized or specifically tested, from the data it did appear the chance for observation and reflection increased topic knowledge, which the students then brought back into class. Around the world, education is currently undergoing a major transformation. Student cohorts are increasingly multicultural, requiring educators to accommodate very diverse learning styles. Along with this, digital technology is so prevalent in modern lifestyles that education consumers (students) are demanding a rethink of product and service delivery. A potential benefit of this is that the combination of synchronous and asynchronous learning opportunities enables students to self-select into the option that is most appropriate for their learning needs. By tailoring course delivery to their own requirements, the flow on is increased commitment and engagement and a deeper learning. Student engagement is an ongoing concern for educators because of its positive association with deep learning and educational outcomes. This article tests the use of a social networking site (Facebook) as a tool to facilitate asynchronous learning opportunities that complement face-to-face interactions and thereby enable a stronger learning ecosystem. This student-centered learning approach offers a way to increase student engagement and can have a positive impact on academic outcomes. Using data from a longitudinal quasi-experiment, the authors show that students who participated in both face-to-face on-campus classes and asynchronous online learning opportunities were more engaged than students who only attended face-to-face classes. In addition, the findings show that participation in the asynchronous setting relates significantly and positively to students’ academic outcomes (final grades). The findings have notable implications for marketing education. You can read “Increasing Student Engagement Using Asynchronous Learning” from Journal of Marketing Education by clicking here. Did you know that you can have all the latest research from Journal of Marketing Education sent directly to your inbox? Just click here to sign up for e-alerts! Gavin Northey is a PhD candidate at Western Sydney University and manager of the UNSW Australia Business School Experimental Research Laboratory. His marketing research focuses on sensory marketing and cross-modal effects between sensory modalities. His teaching philosophy reflects a student-centered learning approach, with a preference for outcomes based education, constructive alignment and sustainable assessment. As a result, his education research concerns the use of online tools and asynchronous leaning and their affect on student engagement. Tania Bucic (PHD) is currently Senior Lecturer and School of Marketing L&T Coordinator at the University of New South Wales (UNSW). Tania is passionate about quality teaching practice and lifting the profile of L&T. She has distinguished herself by winning a string of teaching-related accolades at faculty, university, and national levels including: Bill Birkett Teaching Award; Vice Chancellor’s Awards for Teaching Excellence; ANZMAC -Pearson Marketing Educator Award; and most recently, a 2013 Citation for Outstanding Contributions to Student Learning. In addition, Tania has published in: Journal of Business Ethics, International Journal of Innovation Management, Journal of Workplace Learning, as well as conference such as ANZMAC (10 papers), PDMA and Frontiers in Service. She is an ad-hoc reviewer of several journals and conferences and has acted as chair for several ANZMAC conferences. Mathew Chylinksi is currently a Senior Lecturer at the University of New South Wales (UNSW). He has previously been published in International Journal of Biomedical Engineering and Technology, Marketing Science, and European Journal of Marketing. Rahul Govind is currently a Senior Lecturer at the University of New South Wales (UNSW). Dr. Govind’s research utilizes spatial dependence in empirical data to study two types of marketing problems. His first research stream focuses on studying the geographical similarity between consumers in devising solutions for services marketing. In addition to utilizing existing spatial modeling methods, his research has aimed to create tools for spatial marketing. His second research stream utilizes geographical similarity between consumers to analyze health problems focused on consumption. The aim of this stream is to devise spatially variant health marketing strategies for public policy officials to combat the problems that can arise out of negative consumption. He has previously been published in Health Marketing Quarterly, International Journal of Research in Marketing, Gerontologist, and Journal of Marketing. Where Are the Marketing Ethics Courses? It is important that students understand that marketing ethics is just not philanthropic activities, sustainability, and social responsibility. Although these are important topics, few companies engage in serious misconduct while trying to carry out these activities. On the other hand, marketing ethics and social responsibility are complementary concepts. Marketing ethics relates to decision making consistent with legal compliance, or ganizational policies, and stakeholder relationships. Social responsibility relates to evaluations about contributions to the economic and social common good of society. Ethics becomes important as it is embedded in daily decisions related directly to functional areas of decision making. Continue reading “The Marketing Ethics Course: Current State and Future Directions” in the Journal of Marketing Education. This month, the Journal of Marketing Education recognized its Outstanding Article of the Year winners for 2012. Congratulations to Bruce K. Pilling, Edward E. Rigdon, & Harvey J. Brightman, all of Georgia State University, who published the award-winning paper, “Building a Metrics-Enabled Marketing Curriculum: The Cornerstone Course” in the journal’s August 2012 issue. The journal also recognized the Outstanding Reviewer of the Year, 2012: Michelle Steward of Wake Forest University. You can see past winners of the Outstanding Article award by clicking here. Our congratulations to all! The Journal of Marketing Education provides a forum for the exchange of ideas, information, and experiences related to educating students of marketing and advertising. Click here to learn more or submit a paper to the journal. Thanks to shorter attention spans and “stimulation overload,” today’s Generation Y business students are a tough crowd when it comes to classroom engagement. A new study in the Journal of Marketing Education (JME) ditches the traditional lecture method for an innovative approach in which marketing students create their own photo novels to generate lively discussion, develop their skills, and enjoy the learning experience. Kallol Das of the Mudra Institute of Communications published the article, “Using Participatory Photo Novels to Teach Marketing,” in the April 2012 issue of JME. To see more articles in this issue, please click here. Teaching the restless young generation business students of today is not easy. Furthermore, the traditional lecture method has failed miserably to engage the business students and deliver significant learning. The author presents a discussion on the photo novel as an attractive communication medium and the participatory photo novel as an innovative pedagogical tool, in place of the traditional lecture method. In fact, this method puts the onus of learning on the students and empowers them to co-create content and subsequently learn through classroom discussions. This is followed by a brief classroom guide on the process of creating a participatory photo novel. Student evaluation and feedback are discussed. Specifically, the content analysis reveals that students experienced the following learning outcomes: understanding and knowledge, critical thinking, transfer ability, creative thinking, communication skills, and leadership ability. This is followed by an agenda for empirical research. The limitations and implications of using this pedagogy are also discussed in detail. Overall, it is hoped that the use of participatory photo novel as a pedagogical tool can go a long way in augmenting learning resources, popularizing of this genre of literature, and providing the young generation business students with a unique learning experience. To learn more about the Journal of Marketing Education, please follow this link. Alan Bradshaw, University of London, and Mark Tadajewski, University of Strathclyde, published “Macromarketing Roundtable Commentary–The Export of Marketing Education” on September 20th, 2011 in the Journal of Macromarketing’s OnlineFirst collection. Dr. Bradshaw kindly provided the following commentary on the article. In the UK it is increasingly common for postgraduate students of marketing to be recruited from across the globe, and in particular from notionally “developing” economies such as India and China. This practice raises questions across a variety of issues; it can smuggle discourses of subalternaity into the classroom, it can construct marketing education as an agent of globalisation, it can undermine commitments to maintaining criticality in our subject areas, it can result in all manners of pedagogical challenges, it can raise huge amounts of money for universities and re-constitute marketing education as an object for export. To my mind, these are issues that get to the heart of marketing education in an age of ever-increasing commercialisation of universities and general neo-liberalism. To explore the phenomenon, myself and Mark invited a group of inter-disciplinary scholars for a roundtable discussion in Royal Holloway, University of London. We asked the participants to construct short statements outlining their positions and together they form, I hope readers will agree, a series of fascinating accounts and analyses about marketing education not just as a subject for teaching and learning, but also as a product for export at a time of globalisation, neo-liberalism and political-economic transformations. To view other articles in the OnlineFirst collection, please click here. 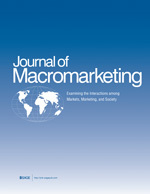 For more information about the Journal of Macromarketing, please follow this link.